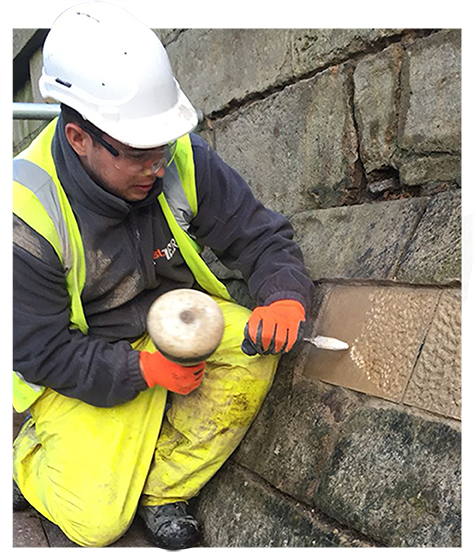 The conservation, repair and protection of historic buildings requires a special kind of contractor – one who understands the unique heritage values of a place and brings with them a wide range of historic building conservation experience and skill. Old buildings will inevitably decay. It is with this in mind that as specialist historic building conservation contractors we adopt a holistic approach when undertaking work so that we may ensure future generations can continue to enjoy our rich historic environment. We understand that any action we take needs to be aligned with the heritage values of a place. Working as both principal contractor or as specialist subcontractor in the historic environment, we have a wealth of experience in carrying out sensitive projects where the need to repair or sustain a structure is carefully balanced with the importance of authenticity and the on-going need to manage change. We have had the privilege to complete schemes at many of the North East’s heritage landmarks, from Grade I & II Listed Buildings to Scheduled Ancient Monuments and masonry ruins. To ensure that work is undertaken in the original way, with the original type materials, we rely upon an experienced and dedicated historic building conservation team comprising a high level management heritage specialist, in-house Heritage CSCS carded experienced workers (stone work and heritage bricklayers) and a small, trusted supply chain. We think we’d be a good fit for your built heritage project. Explore some of our Built Heritage projects. The following services are related to our Building Conservation works.